At any point in your life you have the power to choose to stop seeing yourself as the victim. 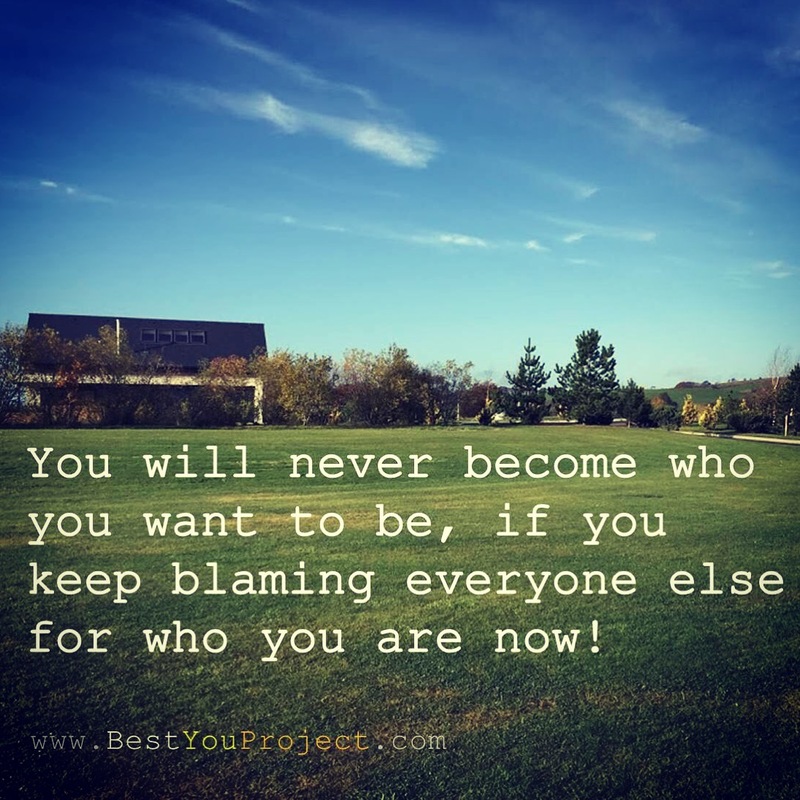 You can choose to stop blaming others for where you are and who you are. You can actually CHOOSE to be in control, you can CHOOSE to act happy and BE happy! You can choose to go after what YOU want rather than what you think OTHERS expect you to want. You can choose to be in a good mood and do everything it takes to get you there. You can choose to do what you think is fun. You can choose to smile and laugh. You can choose to get off the side lines and jump right into life. Notice a running theme here … YOU … CAN … CHOOSE! So stop mopping around waiting for other people to improve your situation and go out there and do it for yourself! There was a time that I did not follow the principle put forth in this post. I now understand the importance of the choices I make in life. I know that I can choose to work hard toward my goal or I can choose to be average. Doing nothing is a choice I would rather not make. We do have some control over our life and our choices is the control we have.